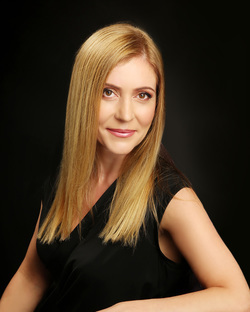 Aleksandra Zaric is an award-winning author and the author of several best-selling books including "Energy Intelligence”, "365 Daily Affirmations", "The Goddess Journals" and the Daily Messages Series which includes "Daily Messages on Manifestation", "Daily Messages for the Modern Goddess" and "Daily Messages on Motherhood". She is the founder of Mermaids Publishing, its imprint Mermaids Classics and is affiliated with several website properties on the net. A former Business Analyst in Project Management and a graduate of the University of New England in Management and Project Management, Aleksandra saw the opportunity to focus on her passion of writing whilst on maternity leave from her corporate career to look after her two young children under 1.5 years, and to show others how they can release their inner power to achieve their dream goals. After the first three months into writing "Energy Intelligence", she returned to the corporate world for a year on a part-time basis (3 days per week) and was determined on completing her book. Her writing process would commence before dawn whilst her children were asleep and re-commence during their day time nap or during her lunch break whilst working as a Business Analyst. Her first book was completed in approximately one year and in 2010 she self published her first paperback title “Energy Intelligence” and completed a large National Book Signing Tour in Angus and Robertson and Borders stores across Australia. Upon completion of her tour, her paperback title was signed over to Australian Publisher “Joshua Books” and was regarded as a top pre-order title within these stores before its second edition official release date of 15 February 2011. "Energy Intelligence" was exhibited throughout the year at International Book Shows such as the Worlds Best Book Fairs in London, America, Poland, China and Germany and became a Bronze Medal Award-Winning title at the 2011 eLit Global Book Awards. Her ebooks are produced under her own publishing label “Mermaids Publishing" which have become bestsellers by appearing on the Amazon Bestseller List, Top 10 and Top 100 in a competitive category- Kindle Store, #1 in Kobo - category within New Age, Top 100 on the itunes Bookcharts for Self-Improvement, Spirituality, Health, Mind and Body eBooks and various other ebook stores. She was nominated as one of the “Women Making a Difference” in January 2012 edition of “Inner Self Magazine” and is the first Australian to have won an eLit Global Book Award within the genre of Inspirational/Spiritual. Aleksandra's fantasy designs have been sold on merchandise to many parts of the world such as Australia, America, France, Austria, Germany, Netherlands, United Kingdom, Ireland, Canada, Sweden, Switzerland, Belgium, Italy, Finland, Japan and even Saudi Arabia. Aleksandra enjoys spending her time with her family, traveling and relaxing on a tropical resort with a pina colada and a good book to read. She resides in Sydney, Australia with her husband Perry and their two young children.